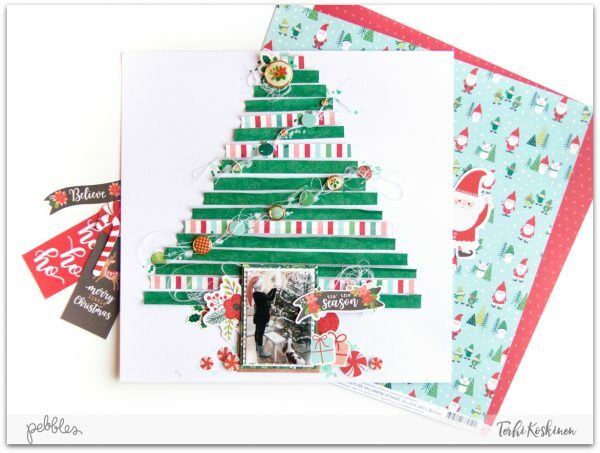 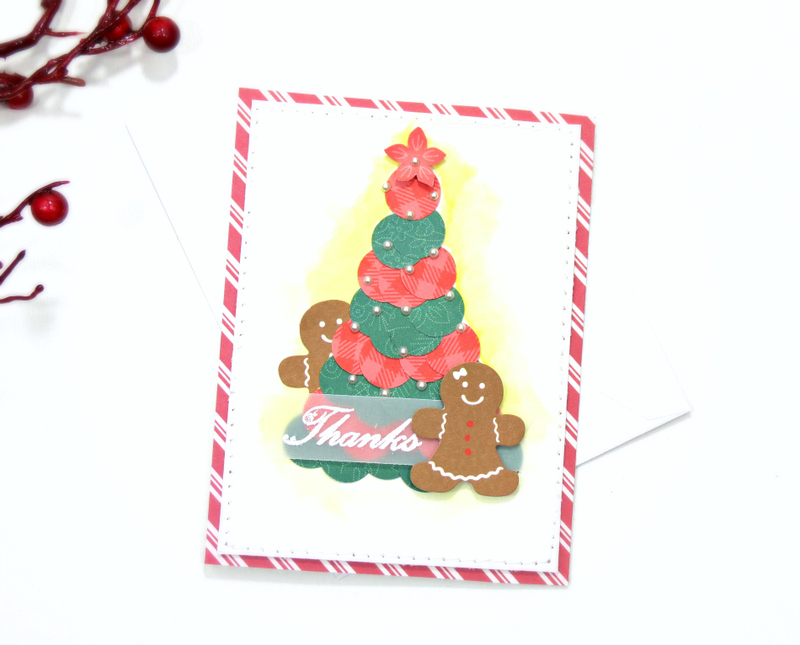 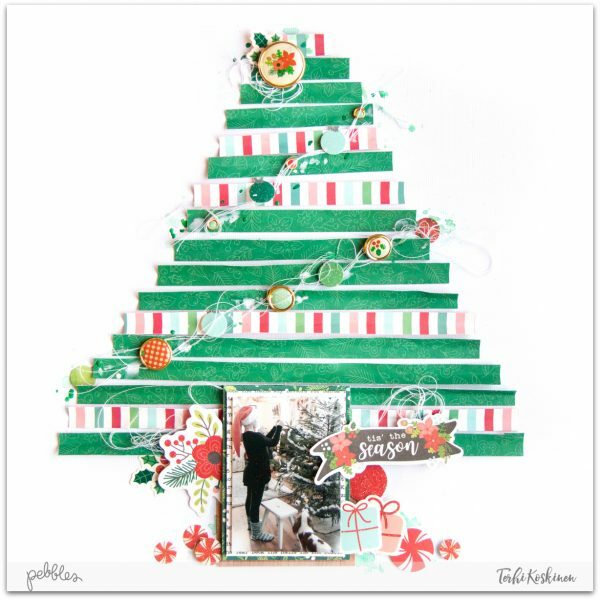 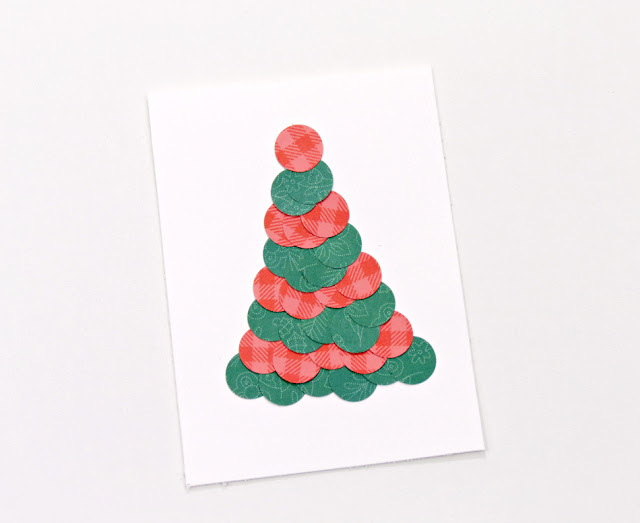 Christmas Tree Archives - Pebbles, Inc.
Hi Pebbles friends – it’s Wendy Sue here today, sharing a really fun and easy ornament project that is perfect to create for this holiday season! 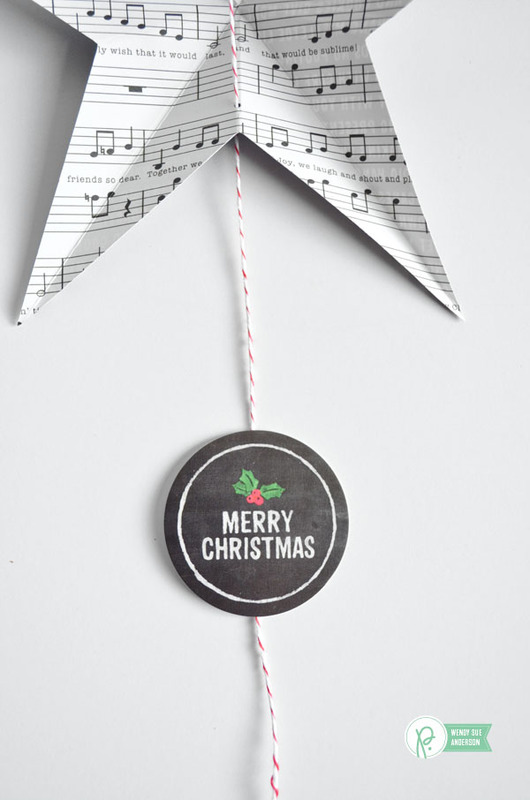 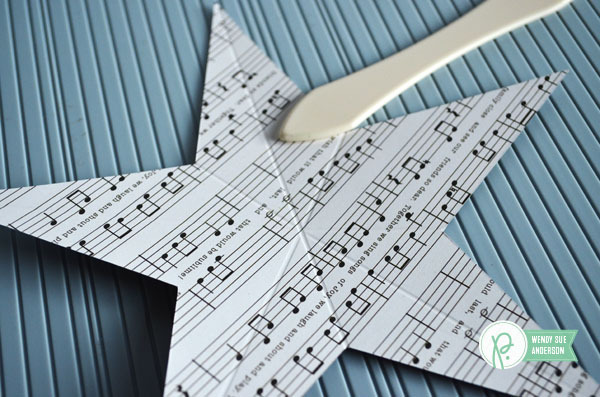 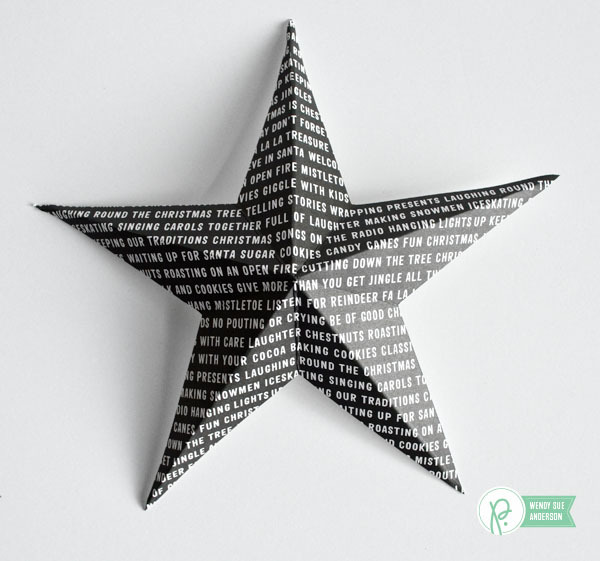 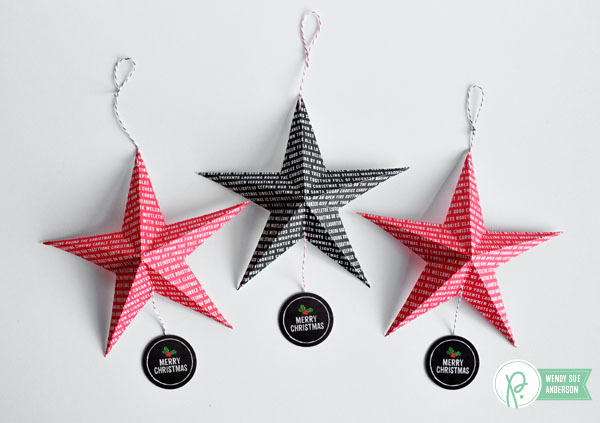 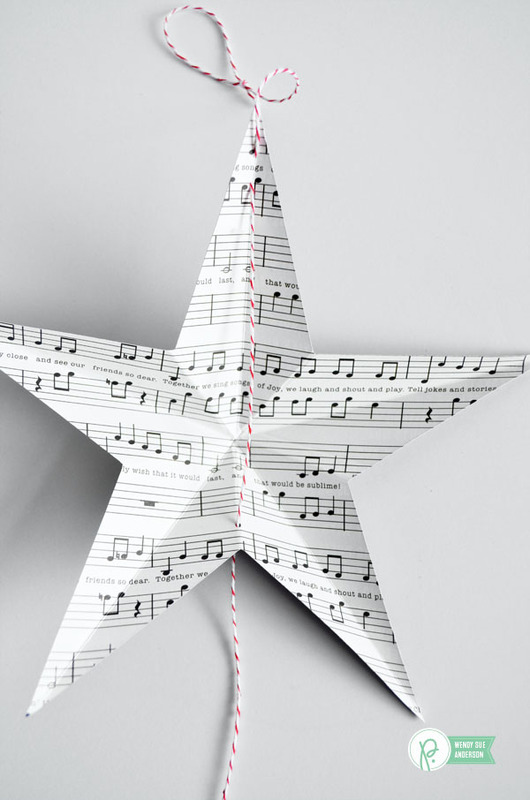 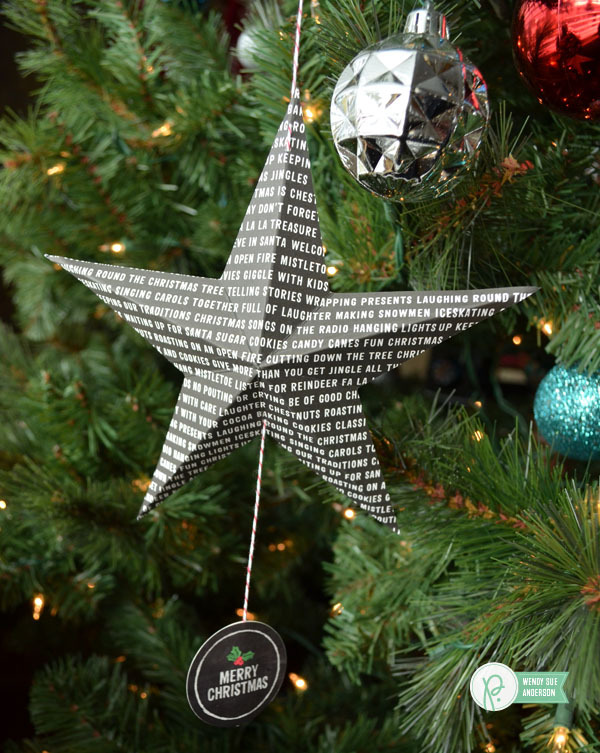 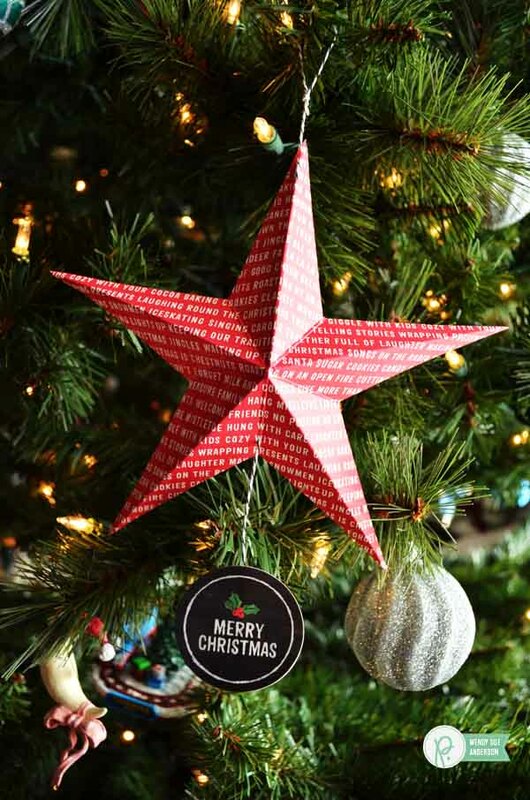 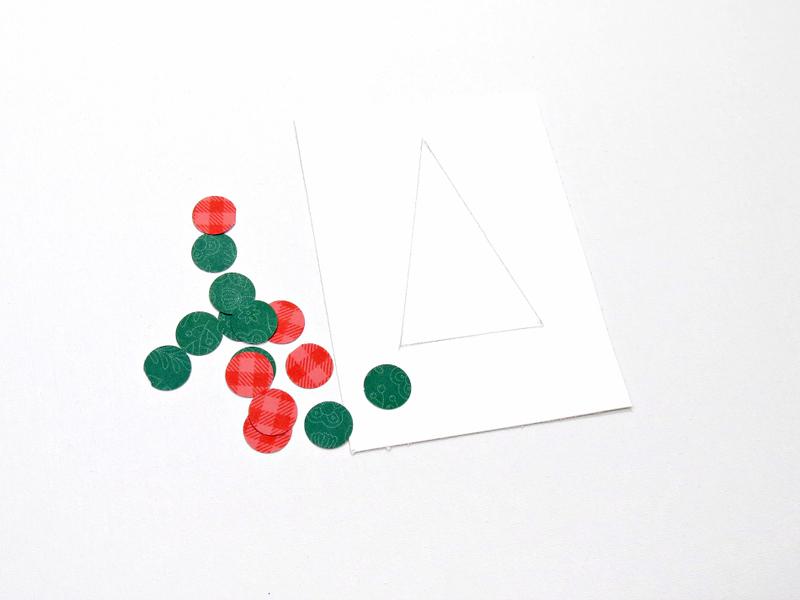 These star ornaments are festive and fun and easy enough for the kiddos to help. 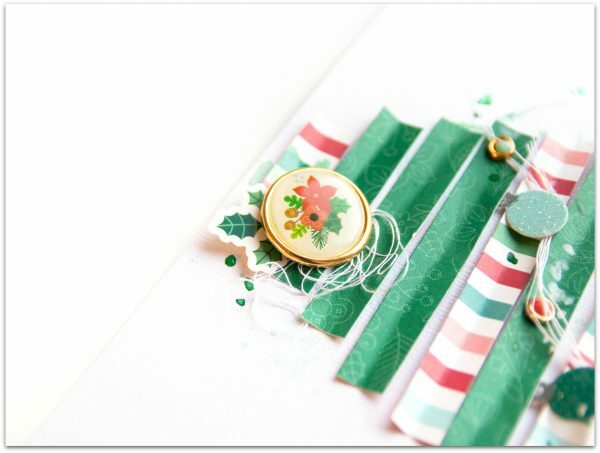 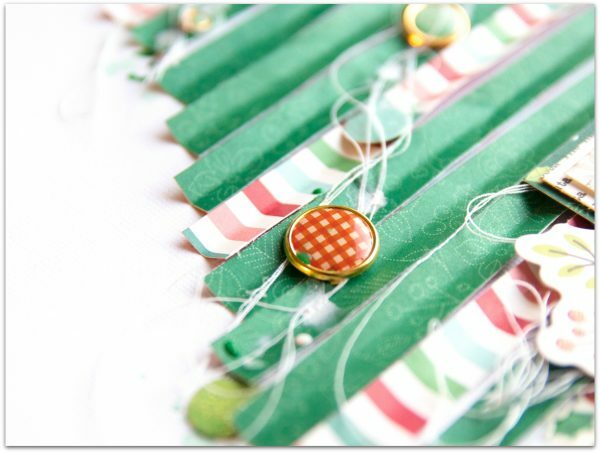 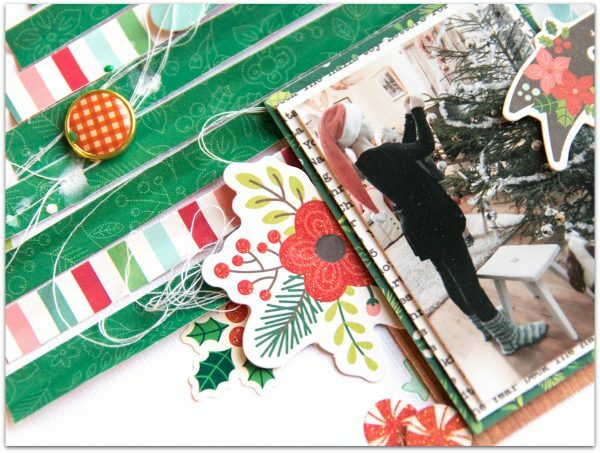 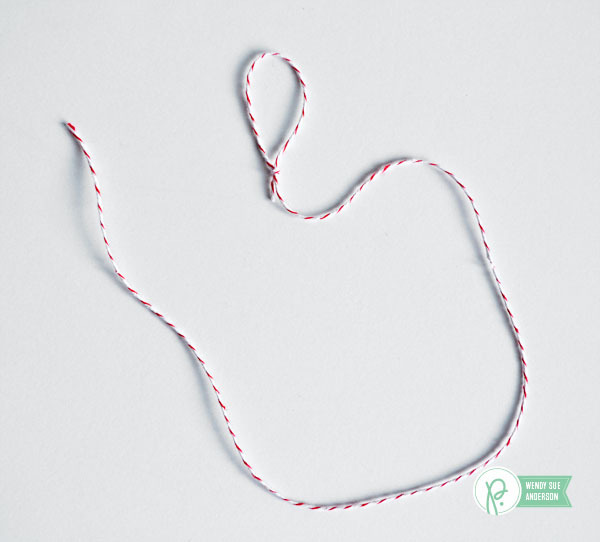 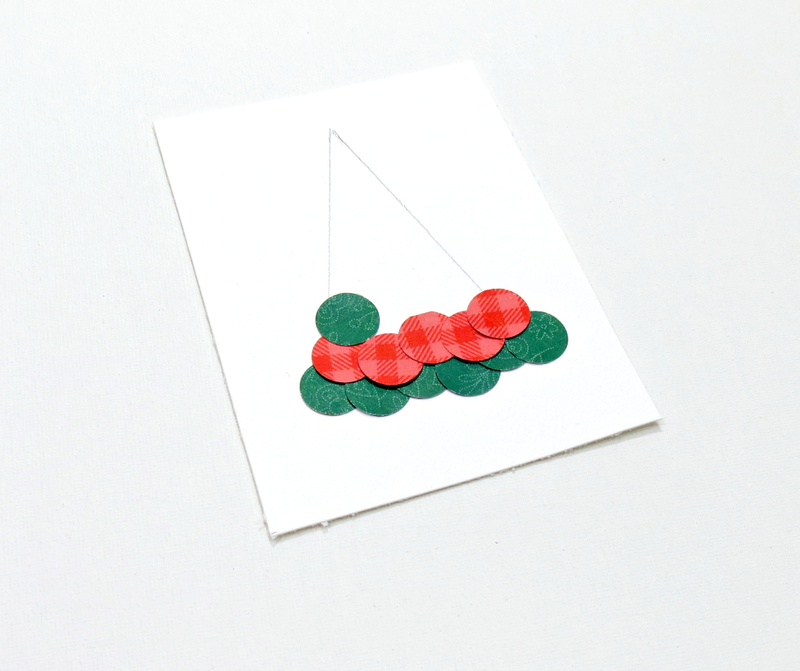 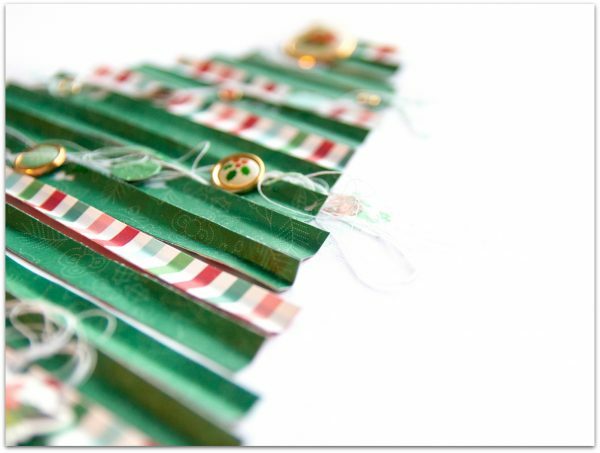 You can use them as an ornament, a gift topper, or even all strung together to create a garland. 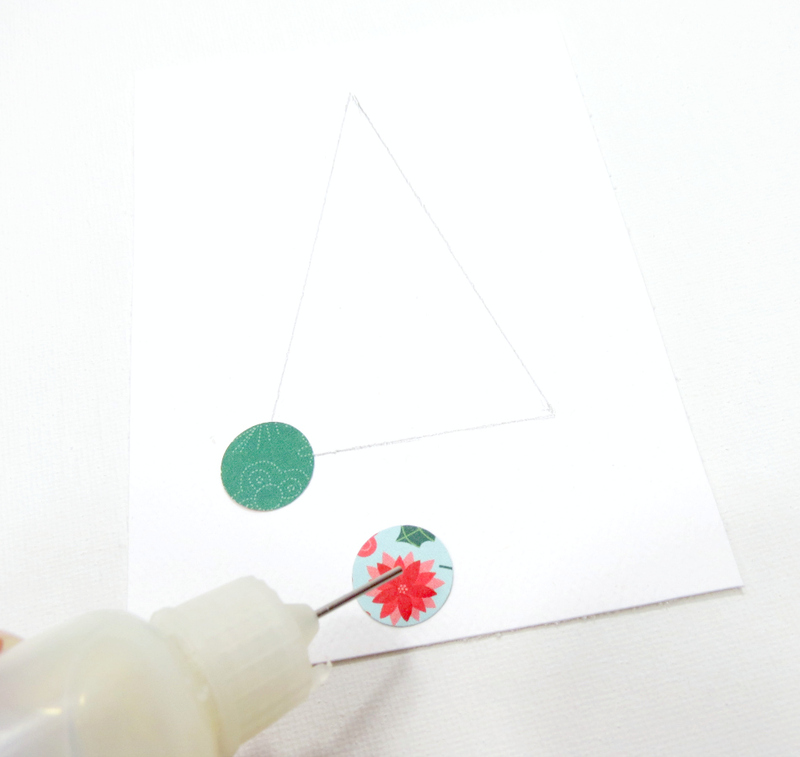 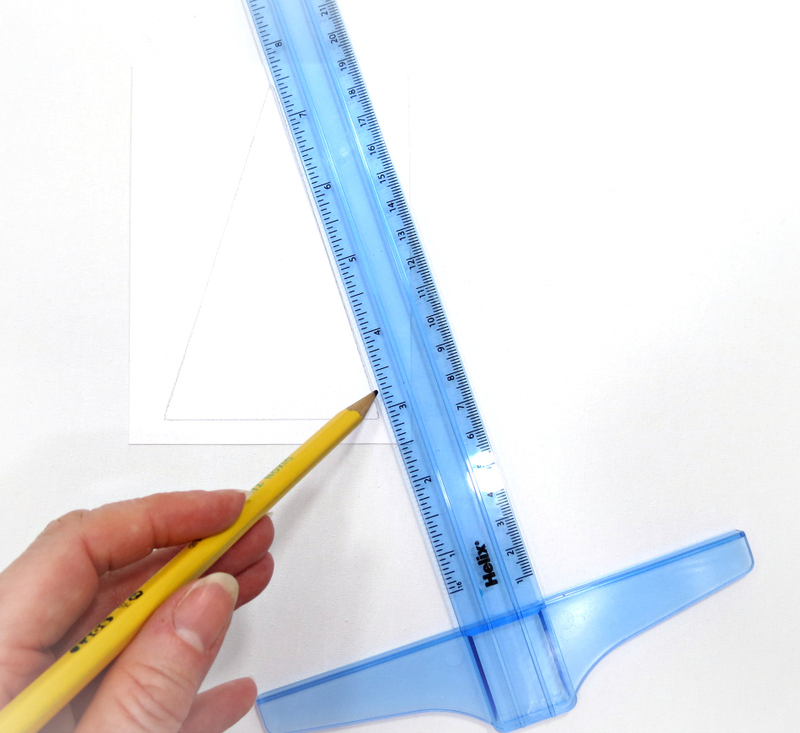 Are you ready to see how easy-peasy they are? 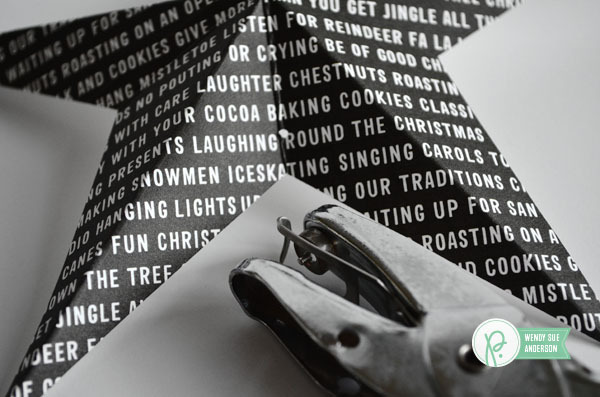 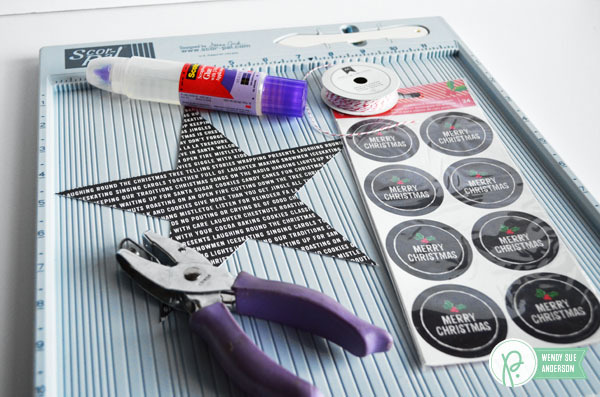 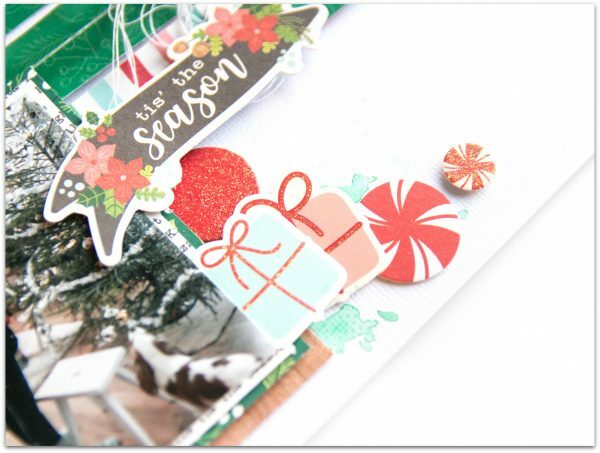 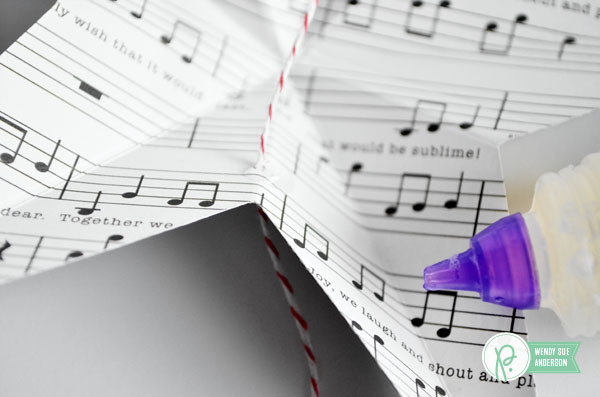 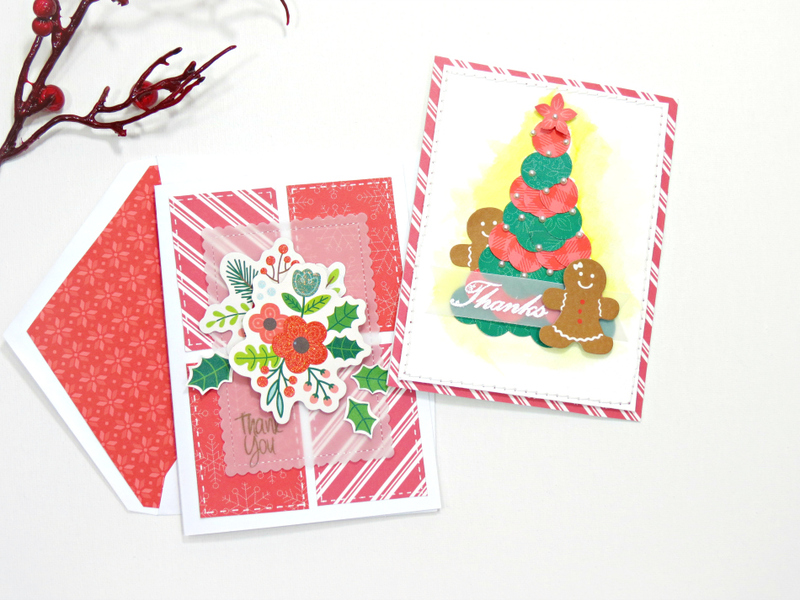 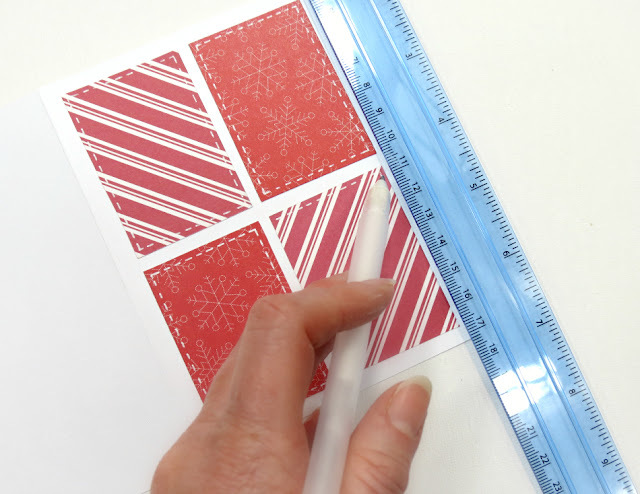 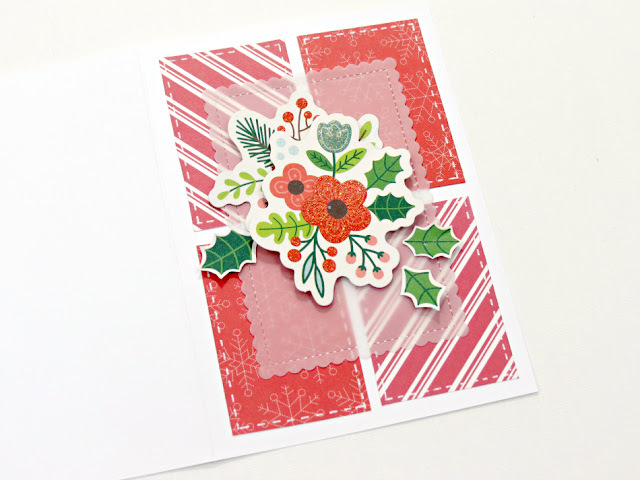 You’ll need a score board, patterned papers, chalkboard seals, liquid glue, 1/16″ hole punch, baker’s twine, and a star die-cut or scissors to cut your own! 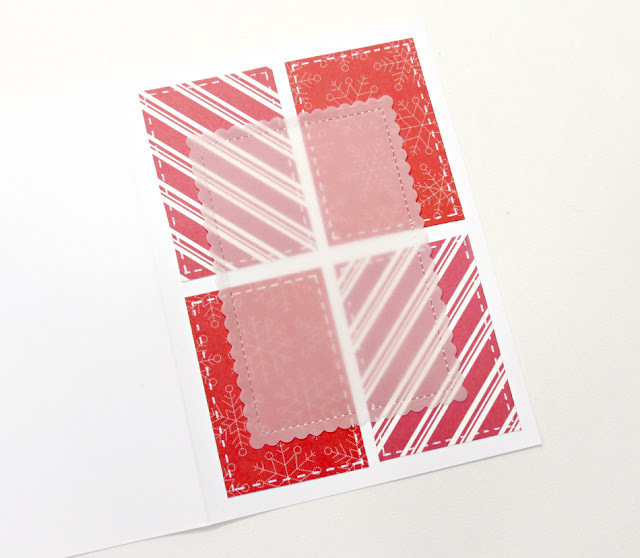 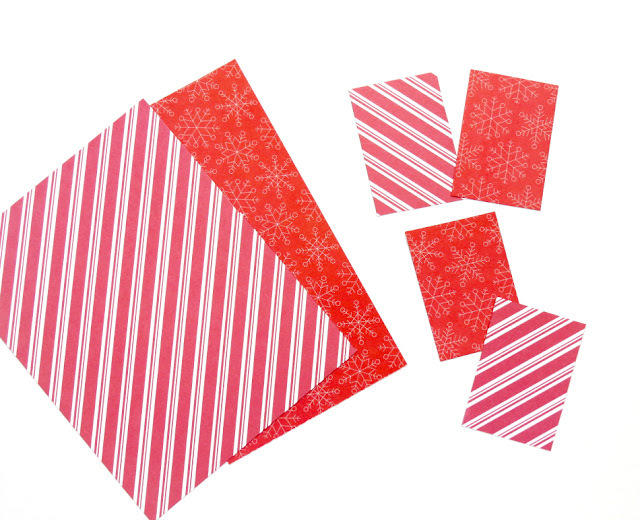 Step 1: Cut star shapes out of patterned papers. 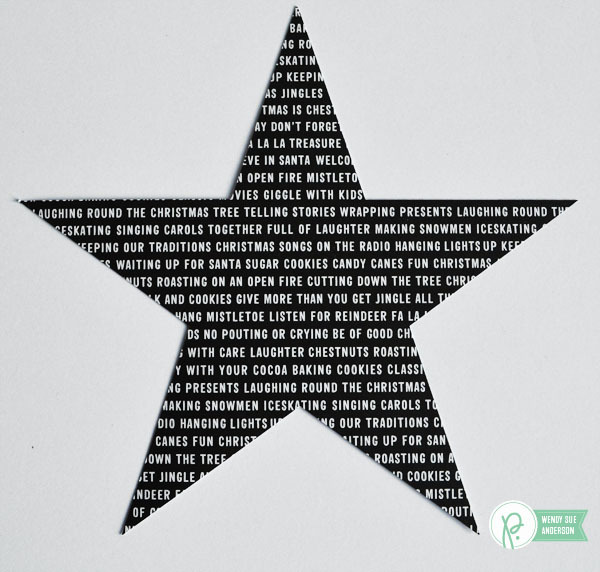 I made mine about 7″ across.